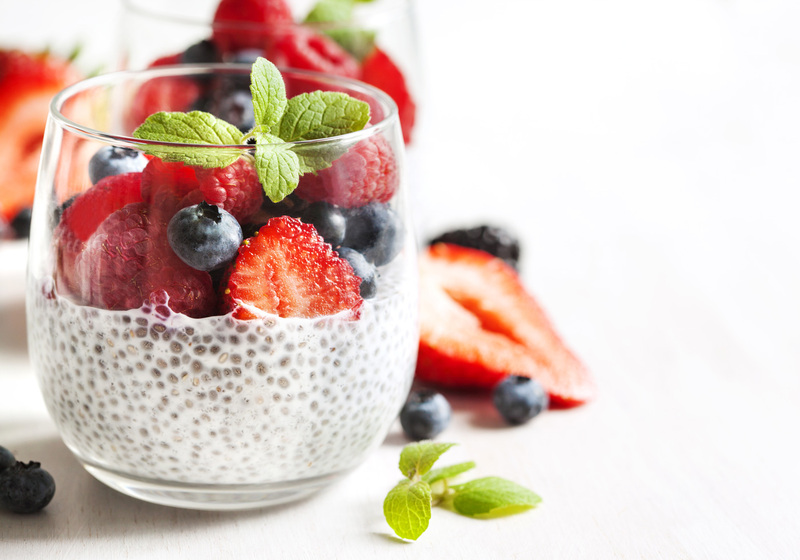 For Whole Chia Seed Version: Blend any ingredients if needed, except chia seeds in a blender until smooth (including any added flavors, fruits or chocolate). Alternatively just mix in a bowl by hand, then whisk in the chia seeds. Pour mixture into a jar or glass container and place in the refrigerator for at least 4 hours or overnight to let gel.